If you are having problems getting the buttons and knobs to respond please try the following steps. 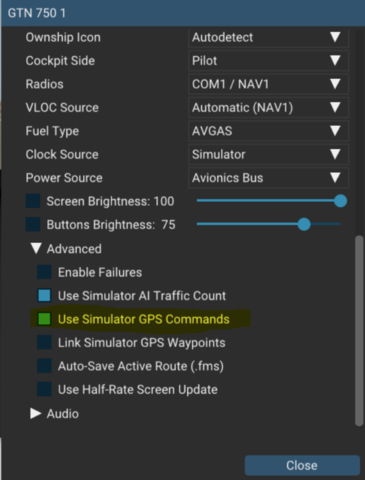 When the RealSimGear device is connected and properly configured you will see it appear in the 'Connected Devices' window of the RealSimGear plugin. The message and command values will change whenever you press a button or turn a knob. Double check that you have installed the plugin into the correct location. Be sure you have unzipped or extracted the folder correctly and in it's entirety. Running Windows 7 or 8? If so, please download and install the Microsoft Visual C++ Redistributable for Visual Studio 2017 here. Restart your PC and try again. Running Windows 10? In some cases, downloading and installing the files above is also required. Check your version of X-Plane. There is a known issue with 11.00, please update your X-Plane installation to the current version. Download and install the Arduino IDE software, this will install the required USB drivers if they are missing on your system. Note this is especially true if you are using Windows 7 or 8. There is an entry in the Connected Devices window but (not mapped) is showing in the Command column. This usually occurs when there is a problem with how the RealSimGear plugin has been installed and the CommandMapping.ini file is missing or corrupted. Double check that the plugin has been downloaded and installed correctly, especially make sure that there are no parts of the plugin outside of the plugin folder. Please check that you have the following option set within Reality-XP. 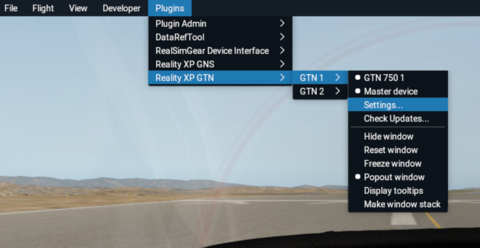 Note: For P3D the Reality-XP settings section is access by holding down the SHIFT key and right clicking the top of the GTN750 screen area. Why is the screen upside down? This is normal, please check out our setup instructions for how to rotate the display in your Windows or Mac display settings.